NEWS - NEWS - NEWS! A date is set for our 2017 Dutchfield Farm Adult Dressage Camp! Our Information Letter and Entry Form with prices you may find in the menu under tab Camp. 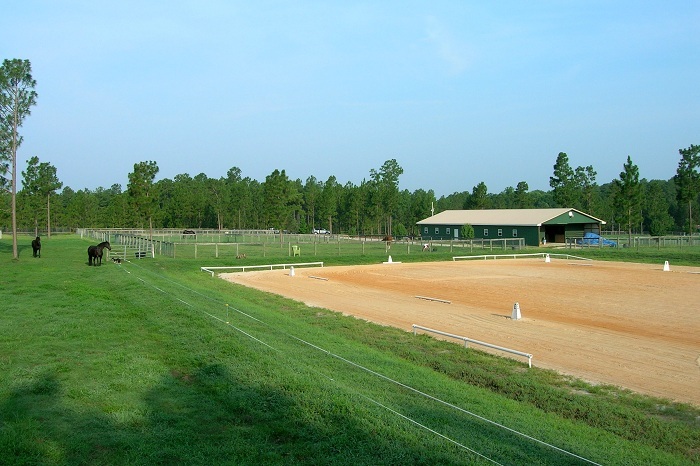 Our 5th annual Dutchfield Farm Adult Dressage Camp is scheduled for May 02 - May 08, 2015, so come and join us in the Sandhills of North Carolina! 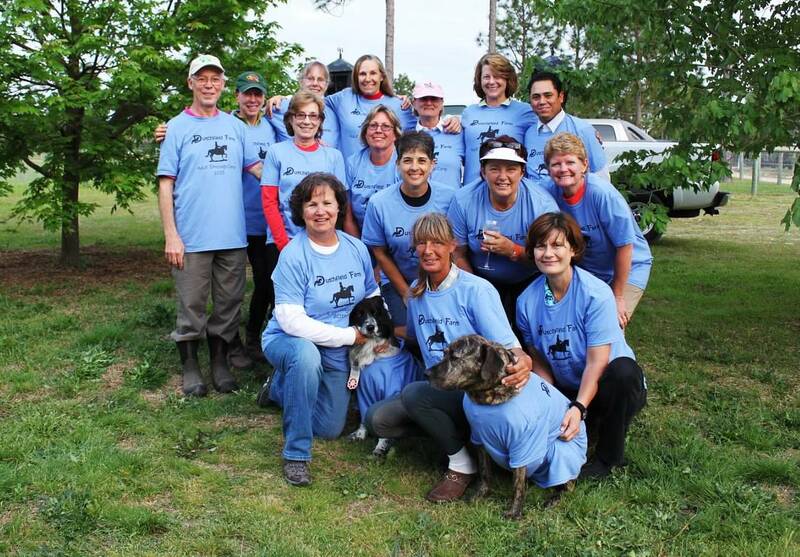 April 19 - 24, 2014: come and join us in the Sandhills of North Carolina! A new tradition seems to be born. 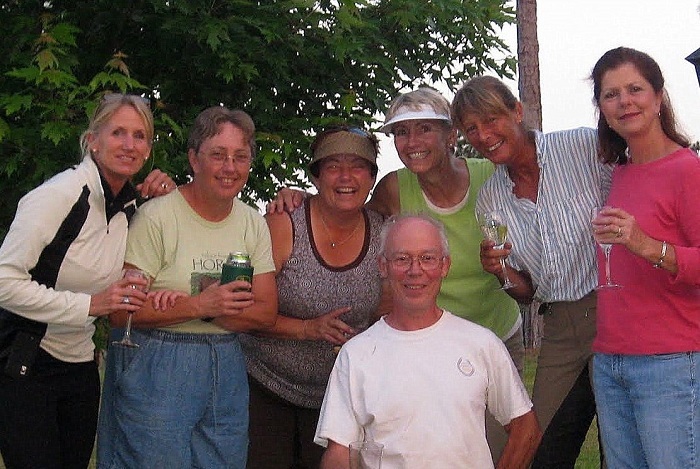 We just organized our 4th annual Dutchfield Farm Adult Dressage Camp in a row! a MERRY CHRISTMAS and a HAPPY NEW YEAR to all our customers and friends! A wonderful Christmas surprise at the barn! Thank you Mary! Yes, we will do it again! 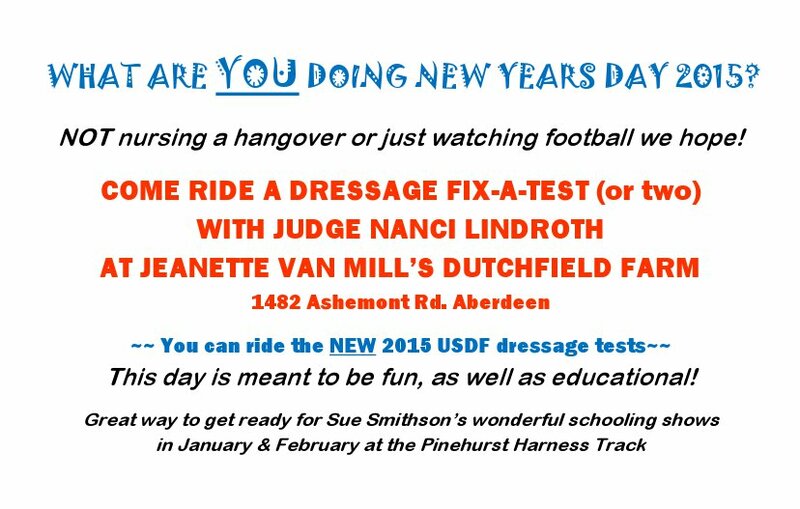 We will celebrate New Year's Day 2014 with a Fix-a-Test, judged by Kris Hamilton. Because of the large number of enthusiasts, our schedule starts at 9:15 am! 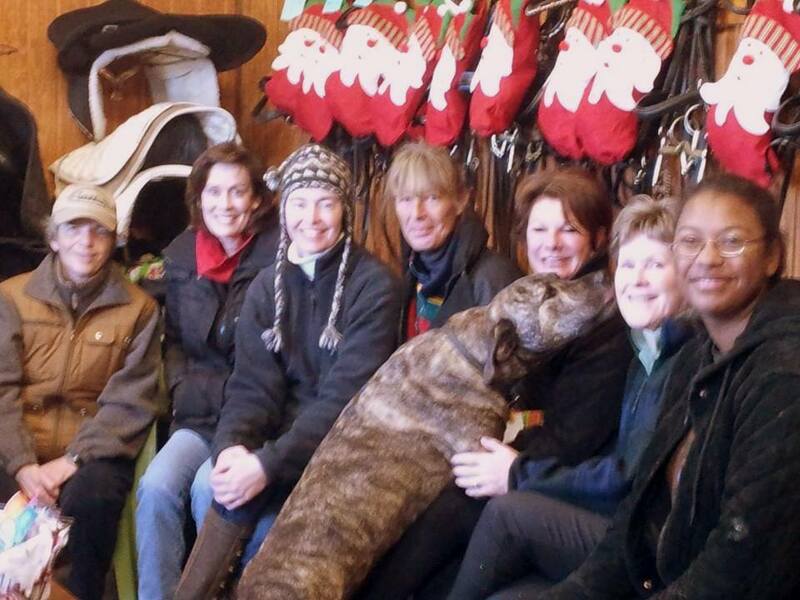 Dutchfield Farm Adult Dressage Camp 2013: a wonderful group of enthusiastic people! FIX-a-TEST on New Year's Day 2013: C A N C E L E D.
Unfortunately, Mother Nature doesn't have very nice plans for New Year's Day, so we have decided to cancel the Ride-Review-Ride at Dutchfield Farm on January 1st. Thank you for entering and we will just tear up your check. 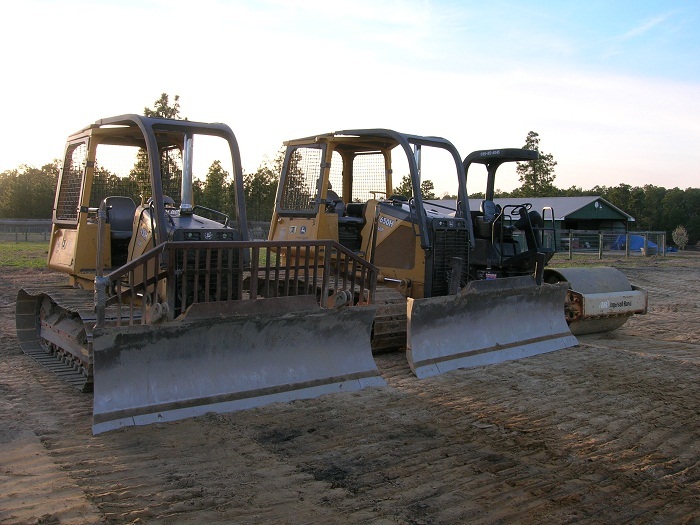 If we are able to run another one at a later date, we will let you know. 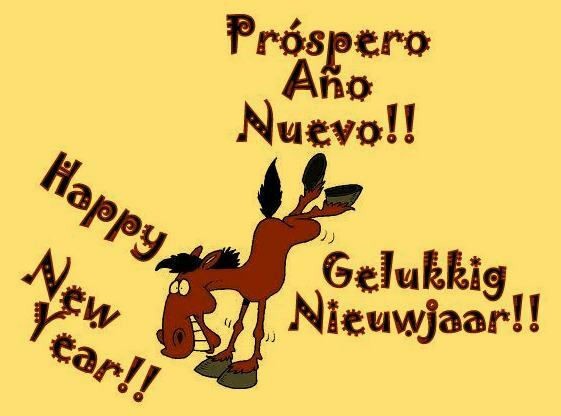 HAPPY NEW YEAR and stay inside, warm and dry! Jeanette's youngest student Konnor Edwards with her Bellissima joined the GAIG/USDF Reg. 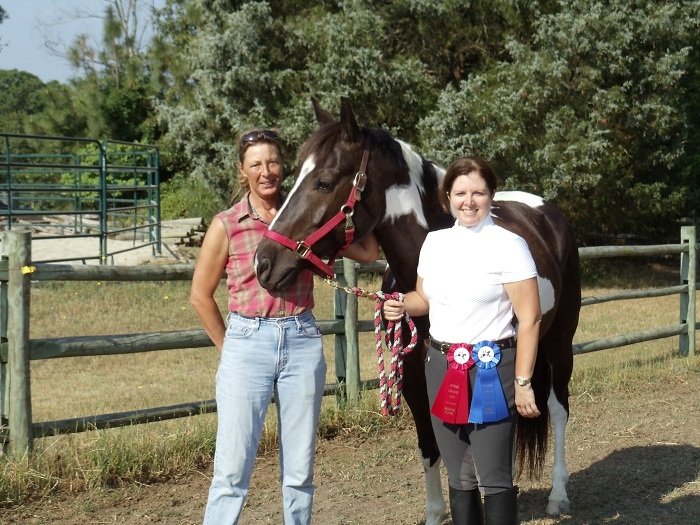 1 Championships at Harvest Moon Dressage in Williamston and made it all happen! They won 4 ribbons (1st place twice!) and points up to 65.63%! Congratulations Konnor and Bella: we are so proud of you! and: YES, she was ready to go for it! In May we organized the second Dutchfield Farm Adult Dressage Camp. Just as last year it was a success. 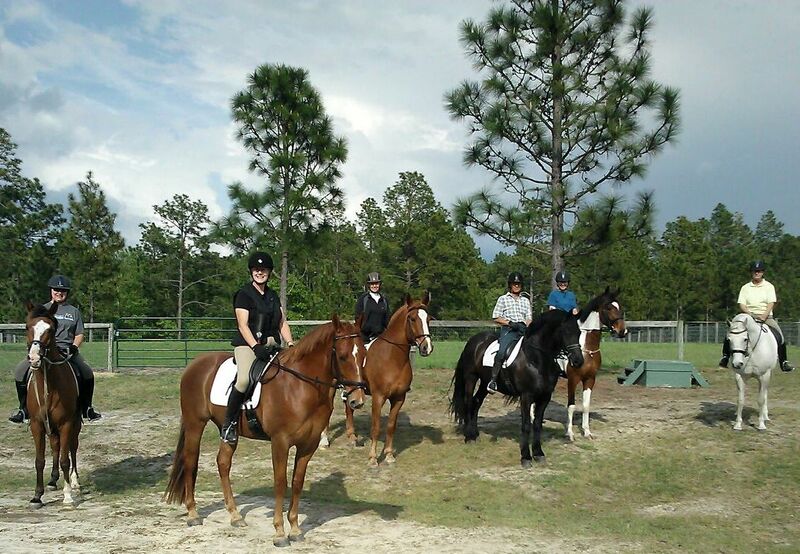 It were 5 days of intense dressage training and lots of fun! We found out that creativity amongst some of the participants was far beyond our expectations! 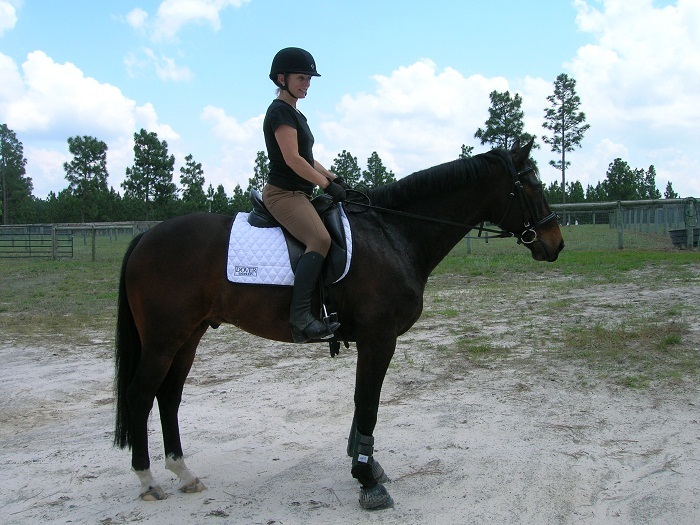 Just Louis: this handsome darkbay Dutch Warmblood KWPN gelding was imported directly from Holland. 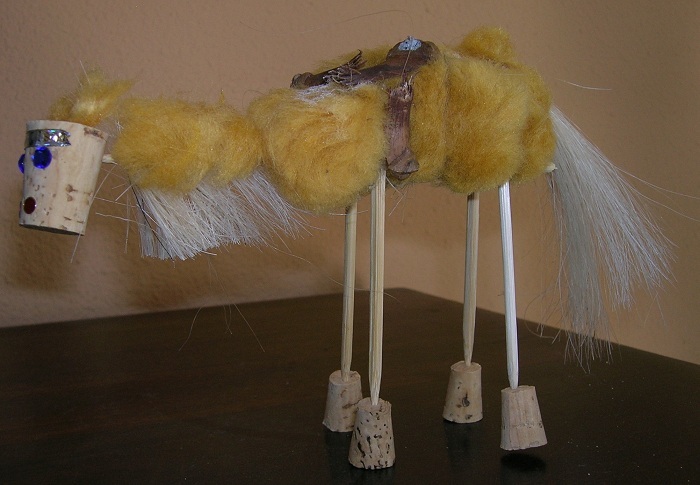 We found exactly what we were looking for: a great horse in a small package! 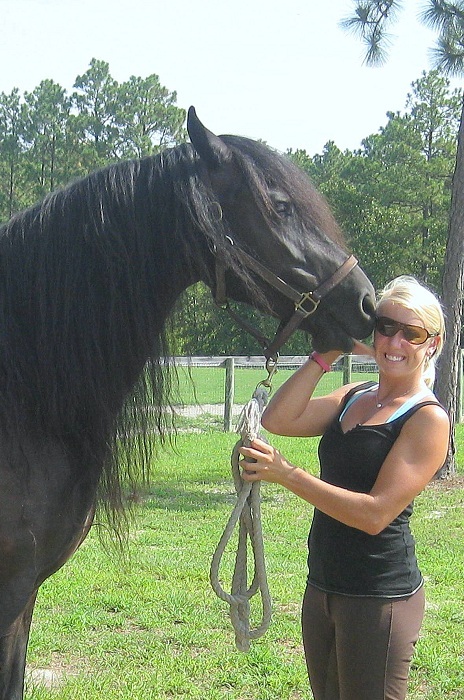 Congratulations Julie with your new horse! 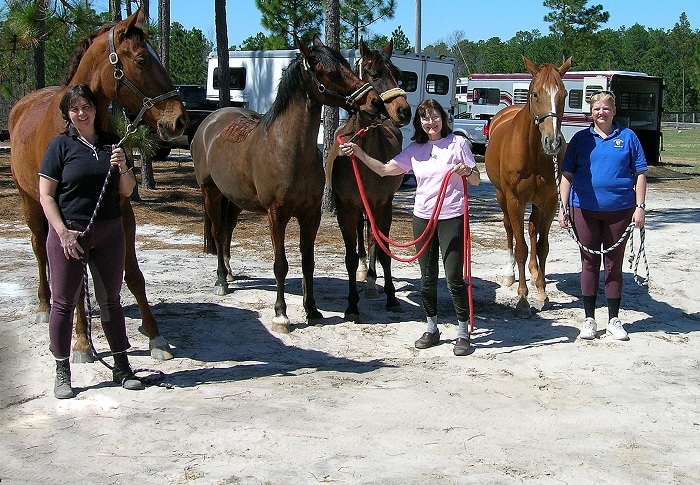 New Years Day 2012 started off with a beautiful day for the dressage Fix-a-Test at Dutchfield Farm. Judge Kris Hamilton did an amazing job and everybody came away with some good information to improve their dressage tests. Cora, the rescue horse, wants to thank everybody that participated and for the generous donations. And a huge thank you to the volunteers as without them this would not have been possible. 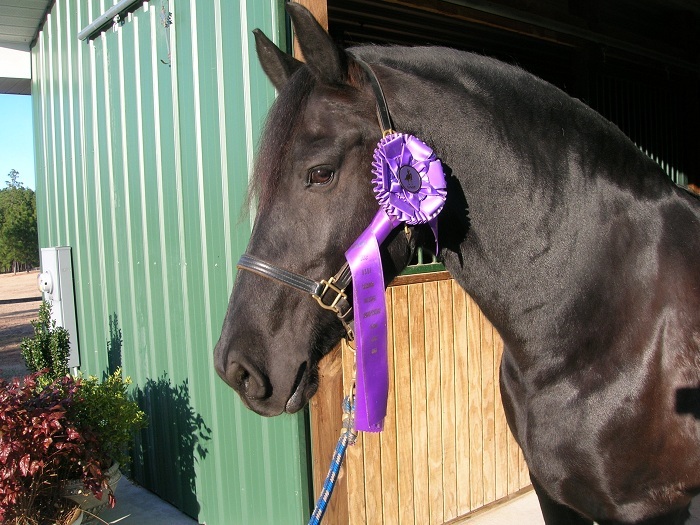 On 20-23 of October Jeanette and Z-boy (aka Yze Fan Vels)went off to the GAIG/USDF Regional Dressage Championships in Virginia and came back with a beautiful purple ribbon for the 7th place second level dressage! 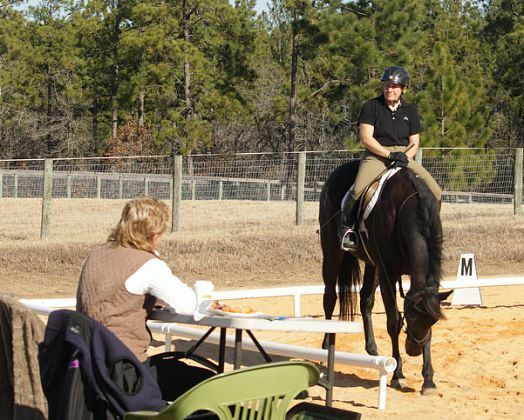 An exciting and challenging weekend in October: Jeanette was asked to teach a dressage clinic for drivers. It were wonderful days with a fun group of people! 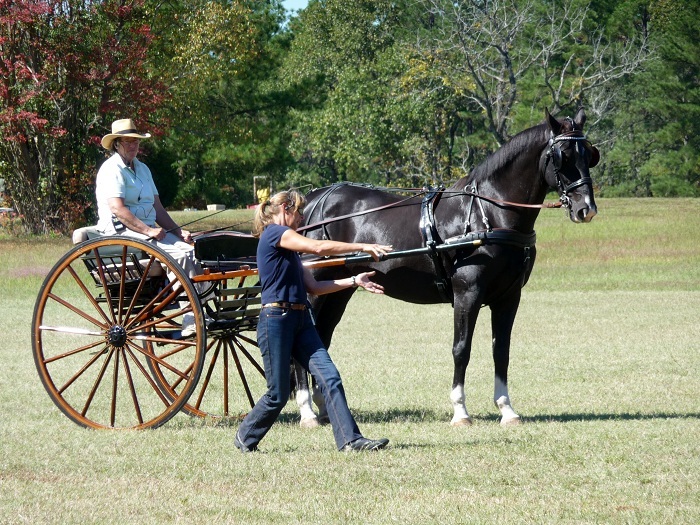 8-10 of September Jeanette was coaching John Reilly for the AEC's at Bouckaert Farm near Atlanta. Congratulations to John with his 4th place in dressage at the AEC's in Atlanta, a great round cross country, only a weee bit to fast, clean stadium round ending with a great 8th place overall. We're proud, John!!! Looking back at a great summer with Jeanette and Z-Boy qualifying for the second level Regional Championships and Wanda Morrow with Kadour scoring a 64.2 and a 63.8%, we are starting our fall season. 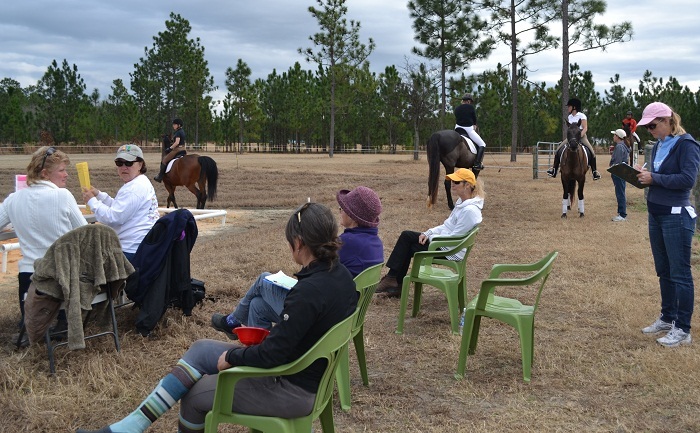 The first Dutchfield Farm Adult Dressage Camp was a success: all participants were very enthusiastic and told Jeanette, although exhausted, they could not wait till the next camp! We will love to see them back, they were a fantastic group! 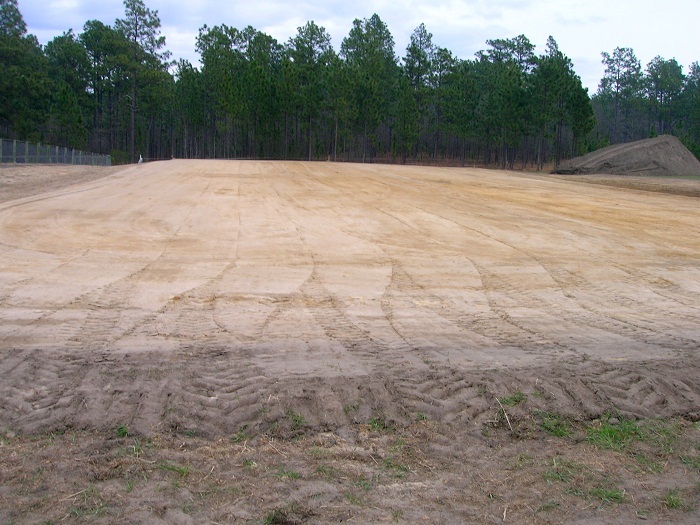 Dutchfield Farm Adult Dressage Camp in Aberdeen NC near Southern Pines and Pinehurst. 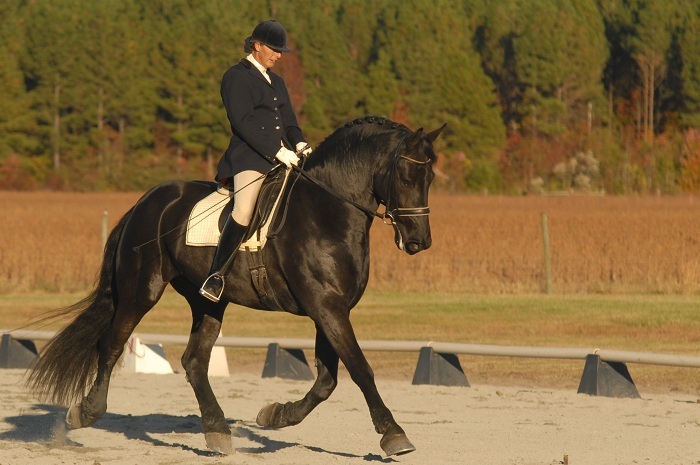 Jeanette will be taking the Friesians Z-Boy and Fred to March Magic Dressage in Williamston from March 25-27 and Fie Andersen will make her debute with Rocazino, her new Oldenberg stallion. Too late for Valentine, but a fantastic present for April 8, 9 & 10! 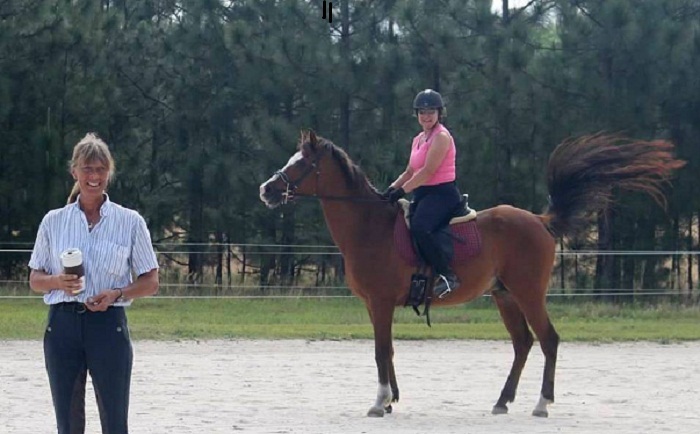 Give yourself the treat of riding with a master instructor and trainer. Click on flyer for information about David's clinic. 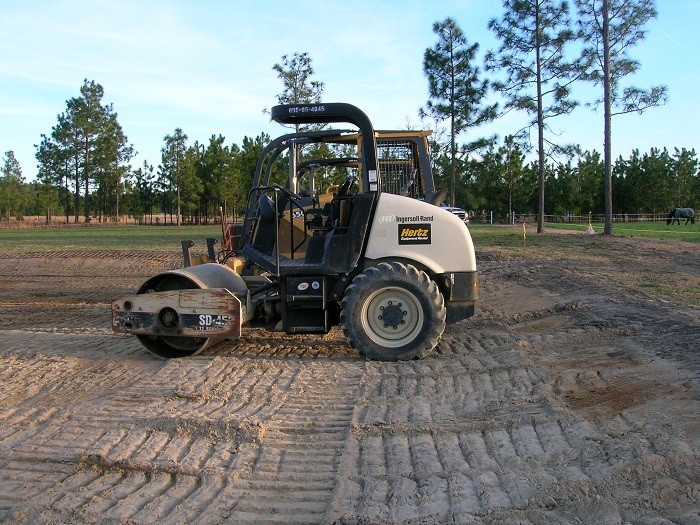 Our second sandring is a fact! It took a while and a lot of work but the result is fantastic! 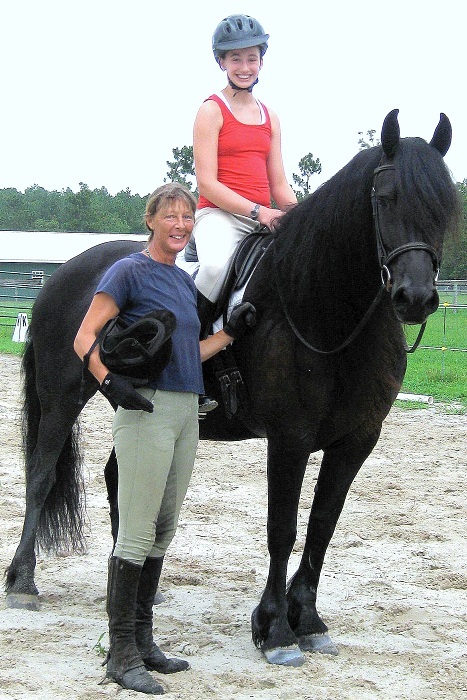 On 6, 7 and 11th of March you may find Jeanette at Linda Dreher's Southern Pines Adult Camp as one of the Dressage Instructors. The Harvest Moon Dressage in Williamston was a success. Jeanette's friesian Z-Boy, (aka Yze Fan Vels) was in super form and they had awesome scores in both first and second level, as well as highest score of the day on friday! A great way to end the season! Three generations of the Cantrell family came to support us on saterday. Z-Boy loved all the attention. Jordan Cantrell and her friend Rebecca could not be stopped by the heat as they were coming for a long weekend of dressage instruction and.... to meet Geartsje. We could see there was love in the air as there was not a hair out of place on that horse all weekend! Thank you Jordan and Rebecca for your enthusiasm unless the heat. Jordan was introduced to some more lateral movements and Rebecca had her introduction to a Friesian. You both did great! And not to forget: thanks for your help in and around the barn! Today, July 11, is an exiting day. 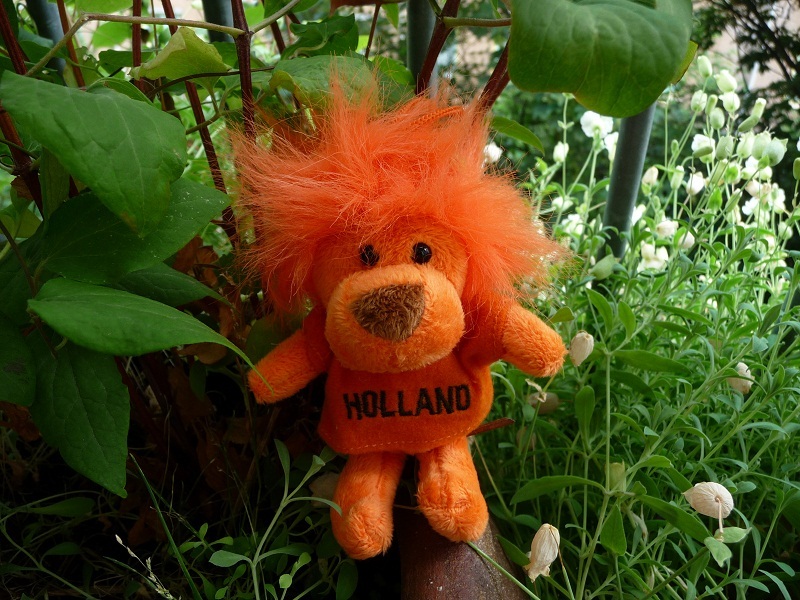 For one day you will see Jeanette wearing orange and hear her yelling: Holland-Holland-Hup-Holland-Hup!! For those who didn't know up till now: yes, she's Dutch! Her yelling did not make them World Champion but she's still proud of the Dutch team: second best soccer team of the whole world is wonderfull too!! 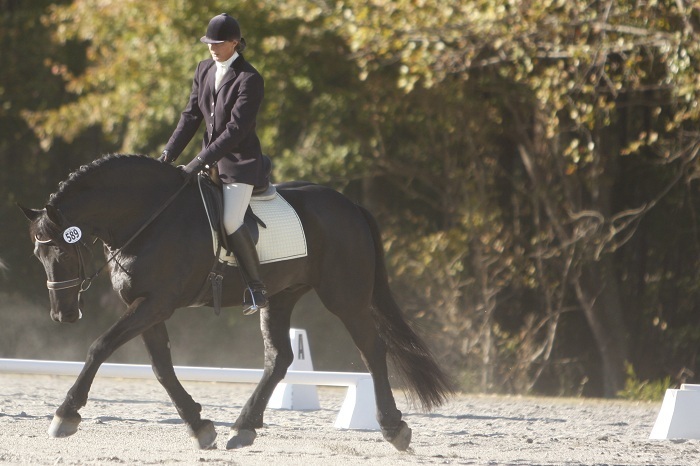 Jeanette's student Sharon Hakas just started competing with her new horse Oso. She is so proud they brought home two ribbons! Congratulations Sharon and Oso! Up to the next show! 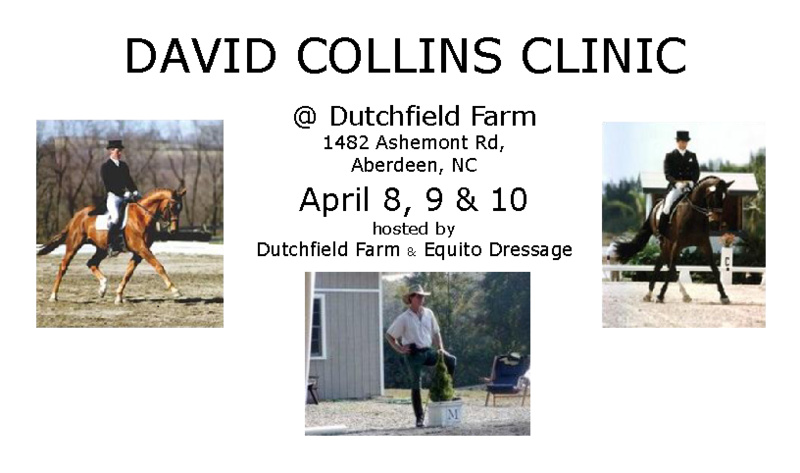 The month of March is as always going to be a fun and hectic month where we start off with the David Collins Clinic at Dutchfield Farm. 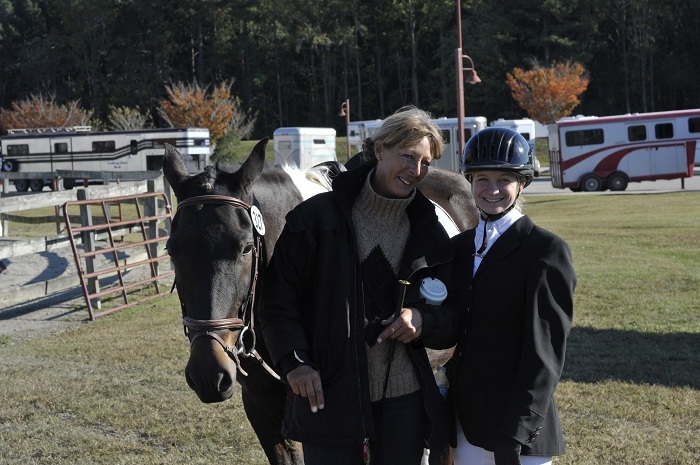 Many thanks to Fie Andersen; she has been riding with David for many years and has organized the clinic. This is Fie Andersen's second year wintering at Dutchfield Farm; she trains and teaches from her own farm in MA the rest of the year > equitodressage.com. 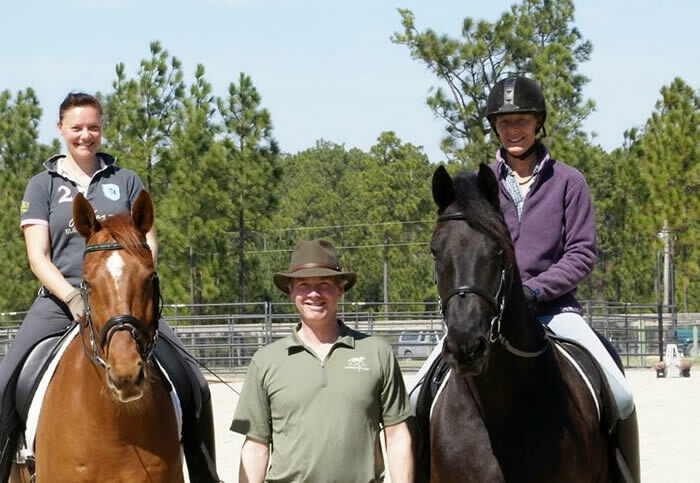 Next on the list will be Linda Dreher's Adult Camp in Southern Pines, where Jeanette is one of the Dressage Instructors on the 7, 8 and 12th of March. In the meantime trainer Rebecca Coffin from Rhinebeck NY will arrive. 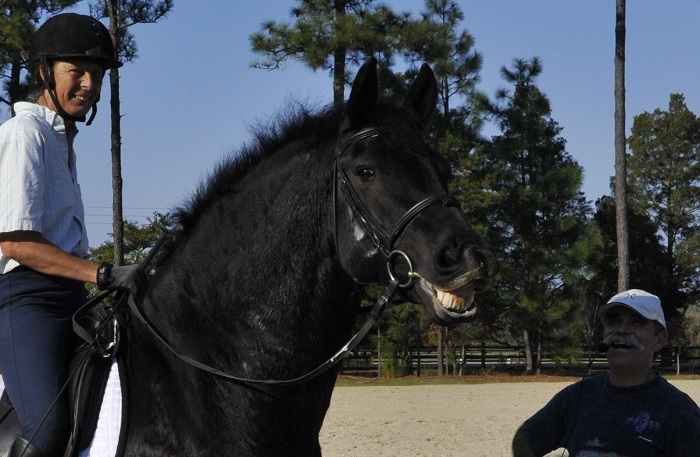 She will be boarding at Dutchfield Farm throughout the Southern Pines Horse trails, where she will be competing and coaching some of her students. 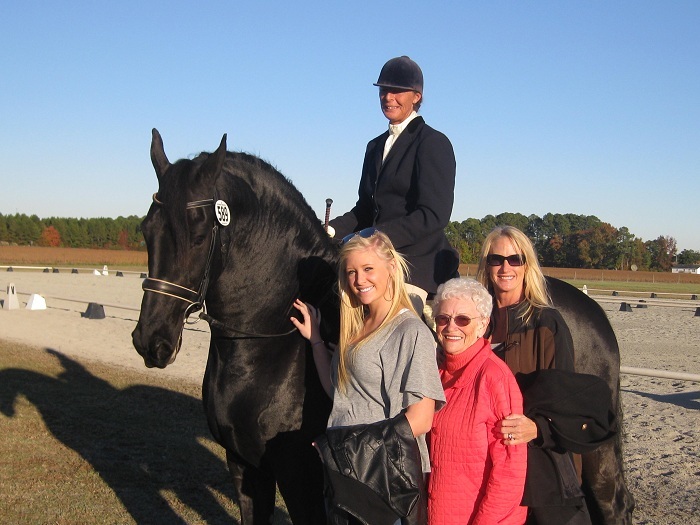 Kay Dixon and her friends Kathie and Diane will be at Dutchfield Farm for some serious dressage instruction from the 15th-19th to finish their week at the Antares Schooling Show. 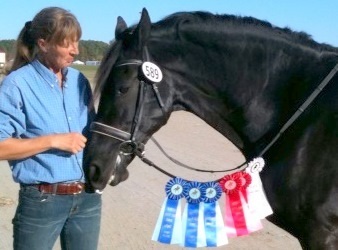 On March the 22nd Jeanette and her Friesian gelding Z-Boy will be attending the Verne Batchelder Clinic at Amy Bresky's Friendship Farm in Southern Pines > www.friendshipfarmsp.com before they ship out to their first show of the season, March Magic Dressage in Williamston. Together with some of Dutchfield Farm's regular clients, we will get the chance to show the results of our training over the winter in the show ring!